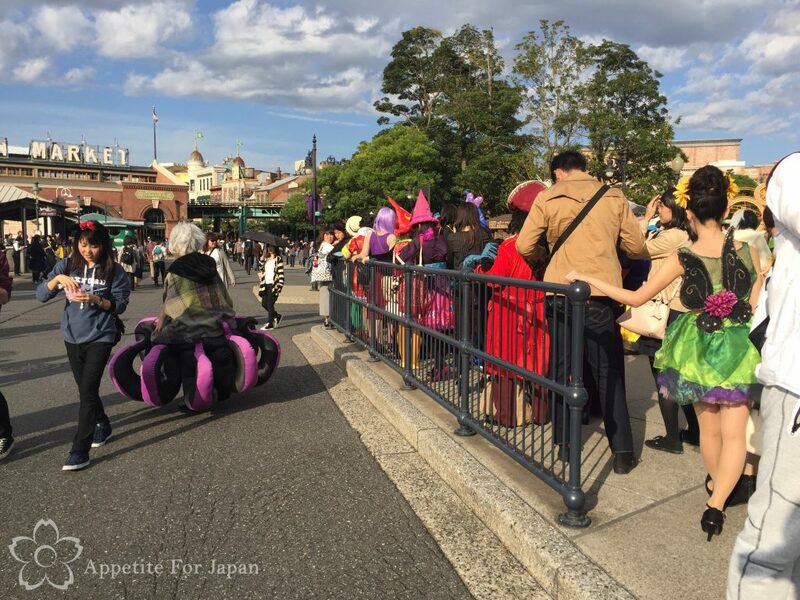 Disney’s Halloween 2016 was a particularly good year for anyone visiting Tokyo Disney Resort in the week leading up to the big day, because this year they allowed adults to dress in costume at both parks during the same week. 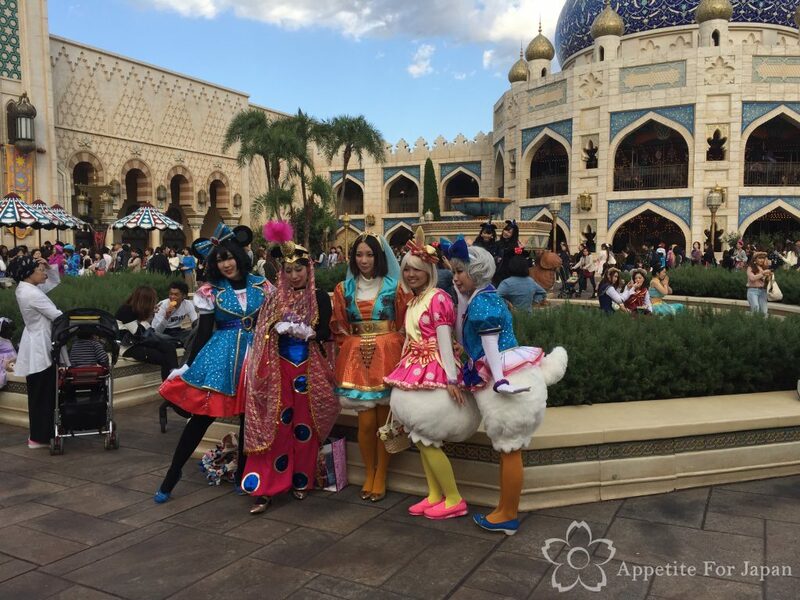 We’ve been enjoying Halloween at Tokyo Disney Resort for several years now, and when it comes to Disney costumes and cosplay, 2016 was one of the best. 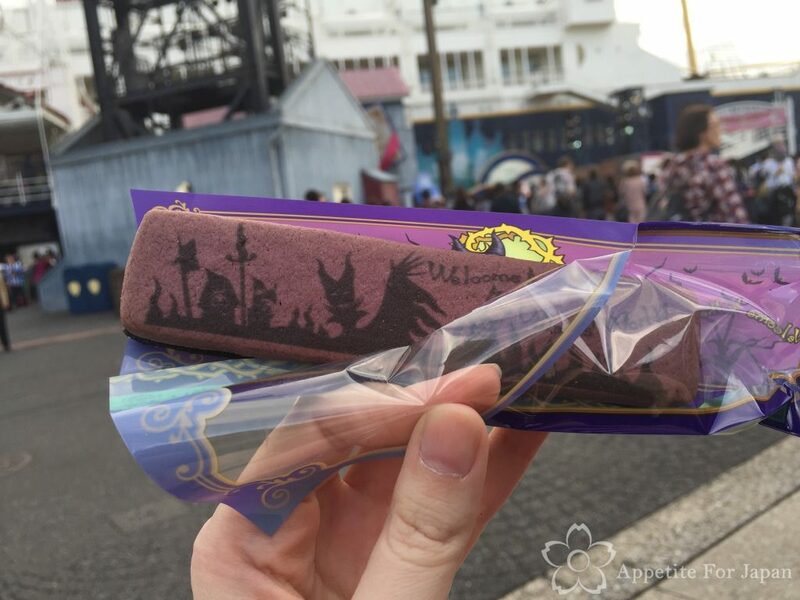 A belated post, here is a collection of photos that I took at Tokyo Disney Resort over Halloween 2016. 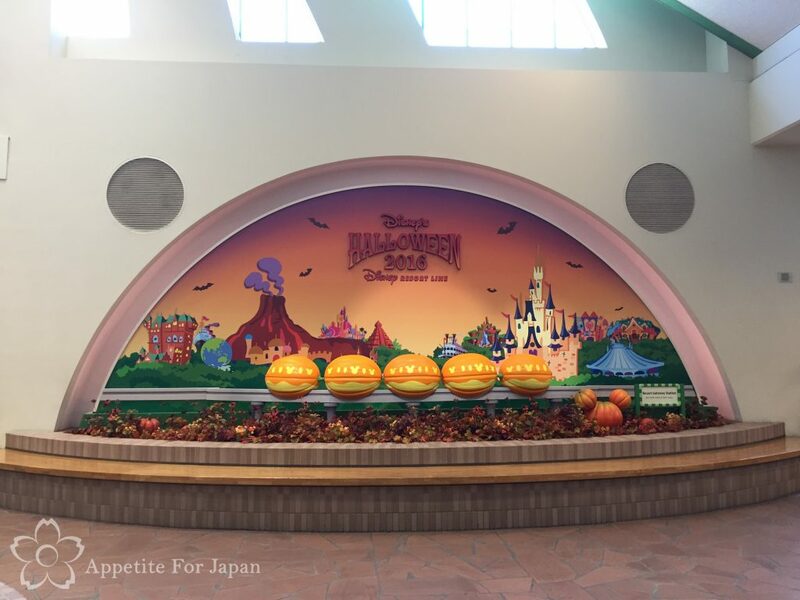 Above: As always, Resort Gateway Station had a Halloween feature to stop and take photos of on your way to the monorail. 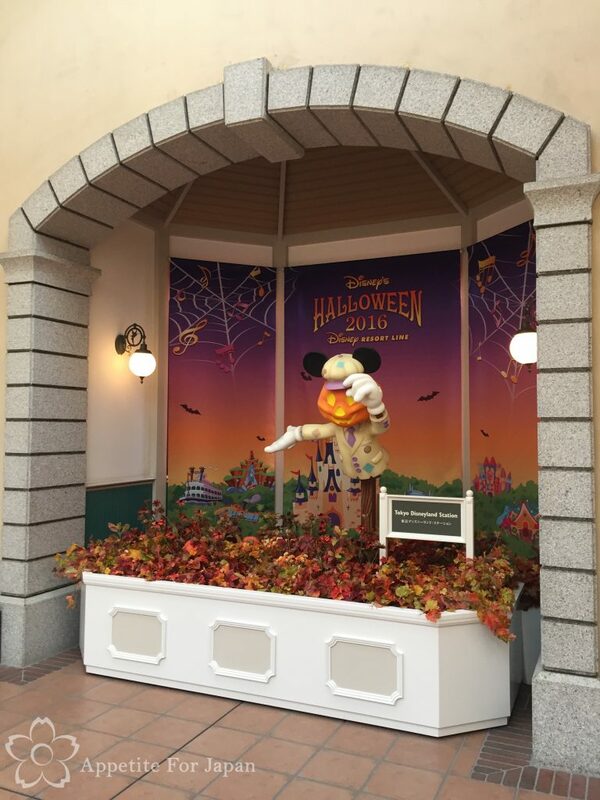 Interestingly, the front of Ikspiari – the shopping centre connected to Resort Gateway Station – didn’t have any Halloween decorations this year. 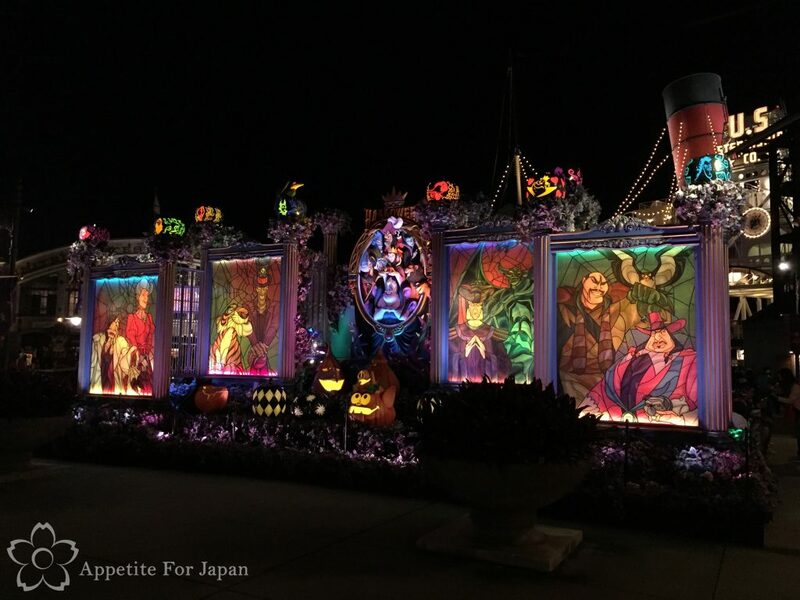 Above: Each of the stations on the Tokyo Disney Resort Line (the monorail) has its own Halloween feature. 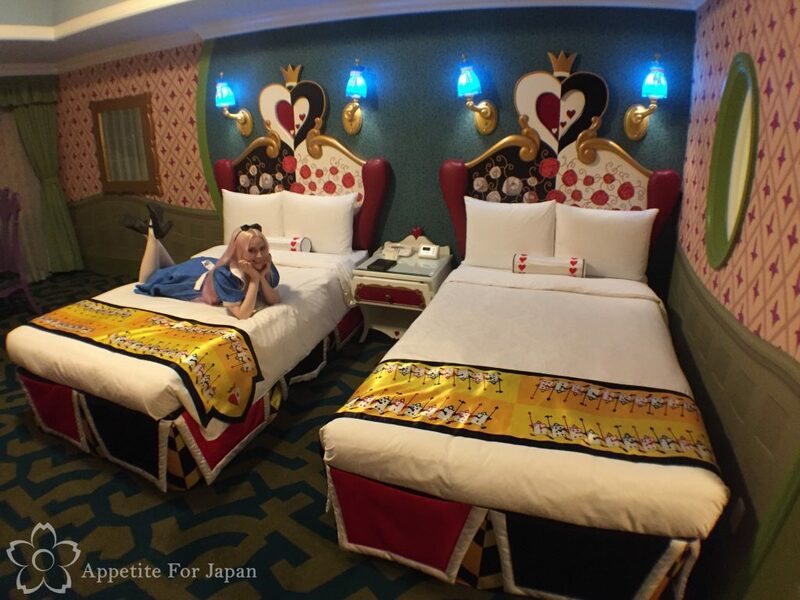 This year we stayed in an Alice in Wonderland themed room at the Tokyo Disneyland Hotel (keep an eye out for my post in the next couple of weeks!). 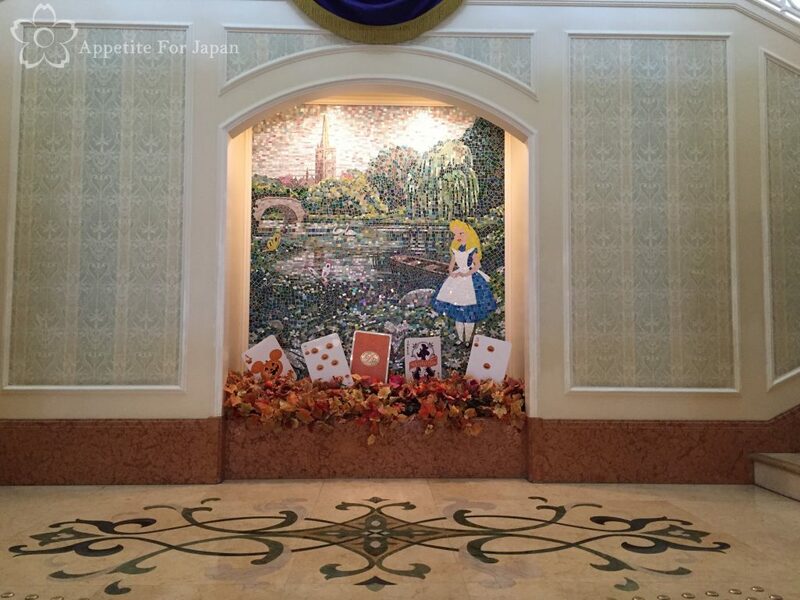 As soon as we entered the hotel, we noticed the tiled Alice in Wonderland feature with its Halloween decorations. 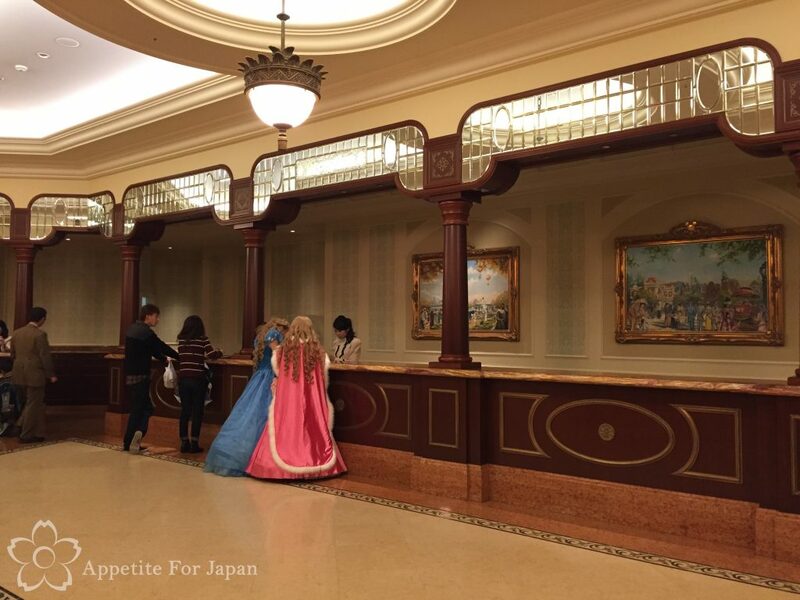 Above: A couple of Disney princesses checking into the Tokyo Disneyland Hotel. 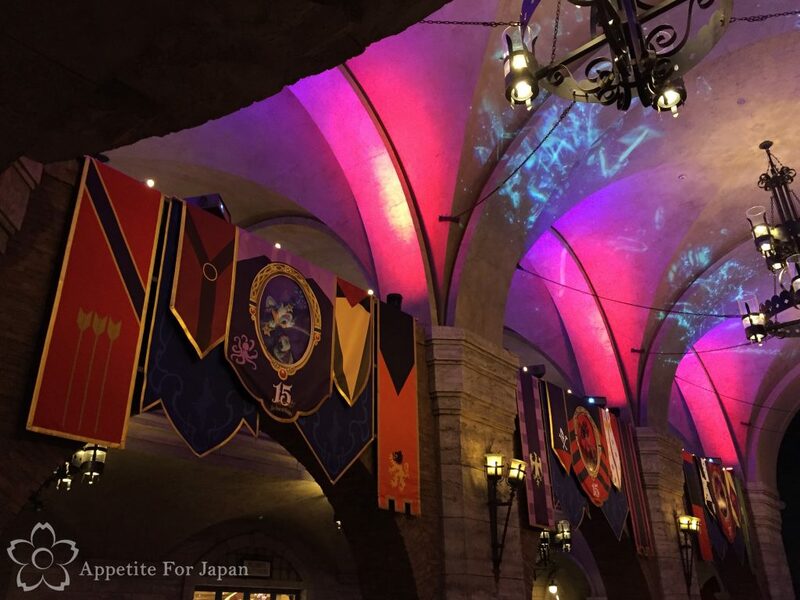 If there is any hotel fit for a princess, it’s the Tokyo Disneyland Hotel – after all, it even looks like a castle! 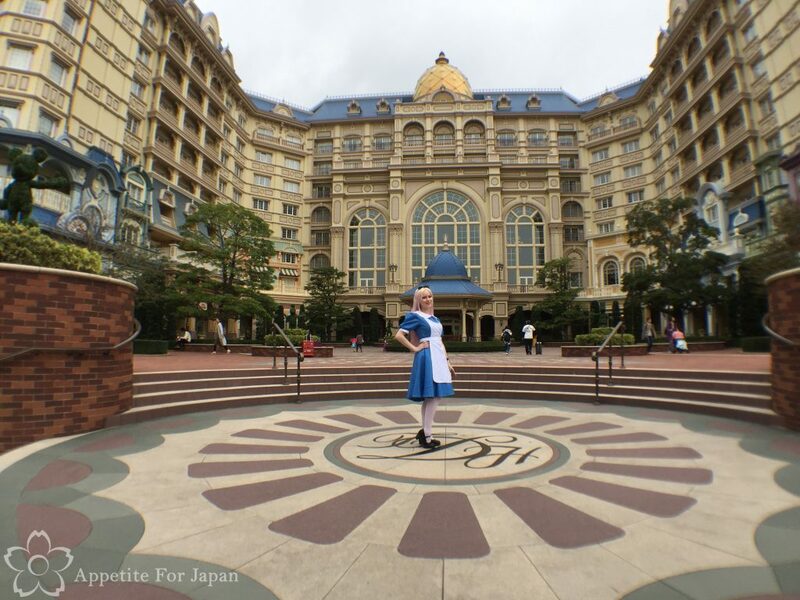 Above: I dressed as Alice in Wonderland again this year, as this seemed like the obvious costume to go with the Alice in Wonderland hotel room! 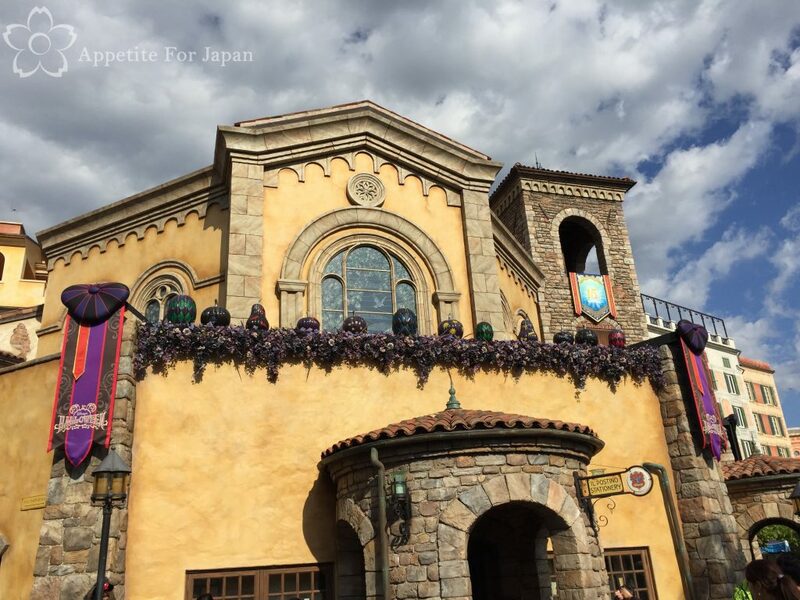 Above: See what I mean about the Tokyo Disneyland Hotel looking like a castle? 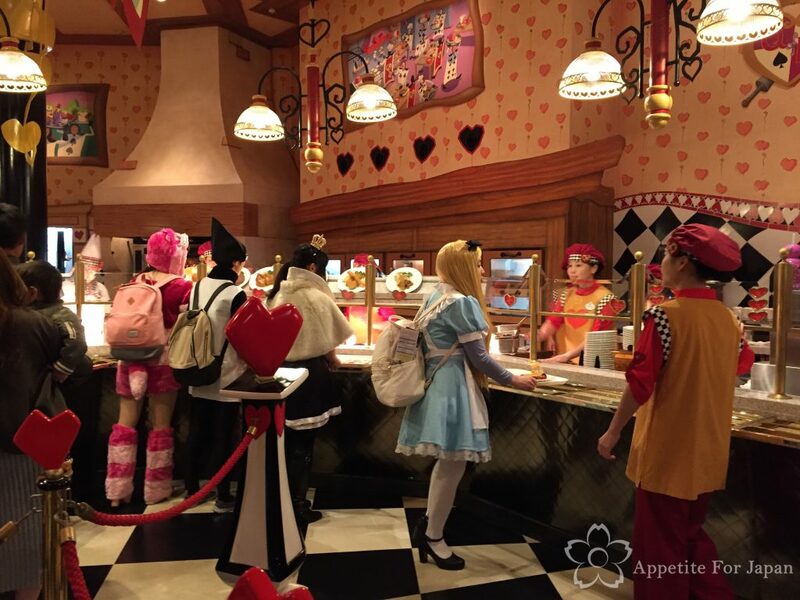 When we got to Tokyo Disneyland for Halloween, our first stop was the Queen of Hearts Banquet Hall for a bite to eat. This is the first time we’ve eaten there, as the queues tend to be very long. We went pretty much as soon as the restaurant opened, and we were able to walk straight in. Once we’d finished eating, there was a very long queue outside. 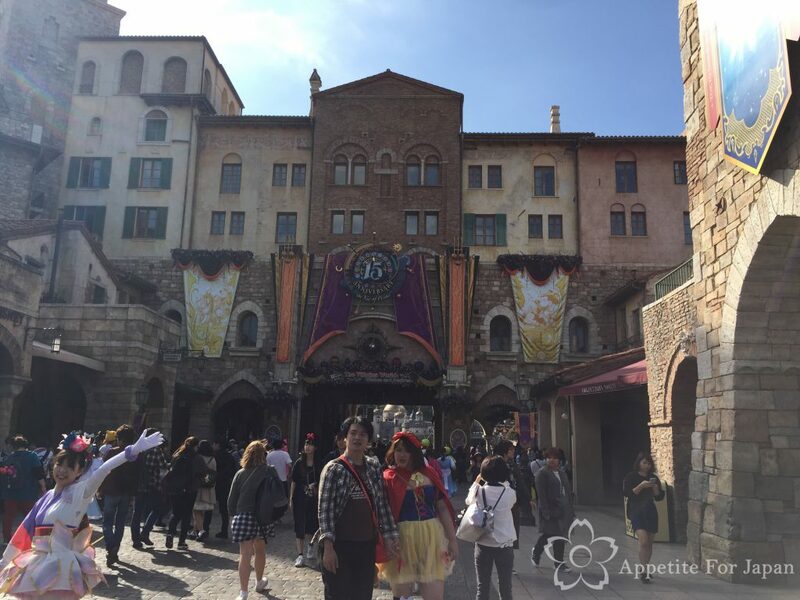 During the Halloween period, this restaurant is very popular with anyone who is dressed in an Alice in Wonderland related costume! 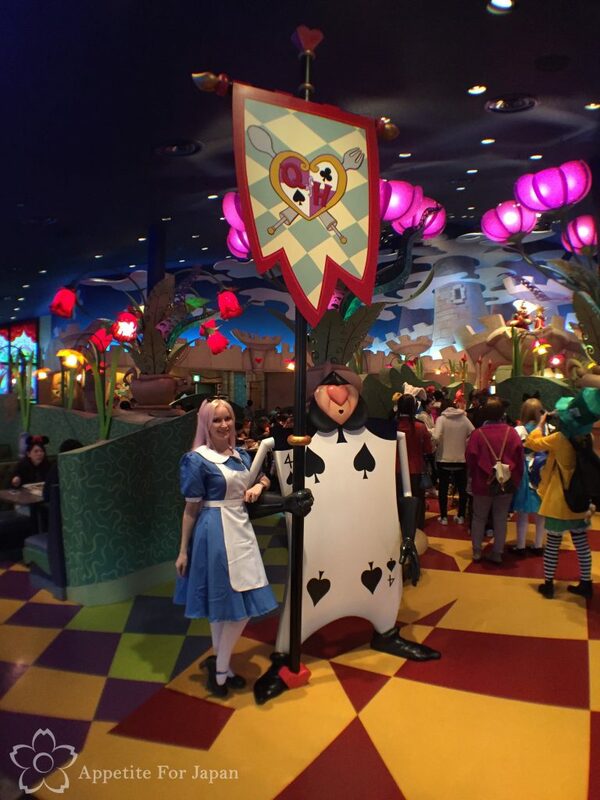 Above: The Queen of Hearts Banquet Hall has really cool decor – and perfect for anyone getting into character with Alice in Wonderland! Stay tuned for a post on this restaurant in the next few weeks. 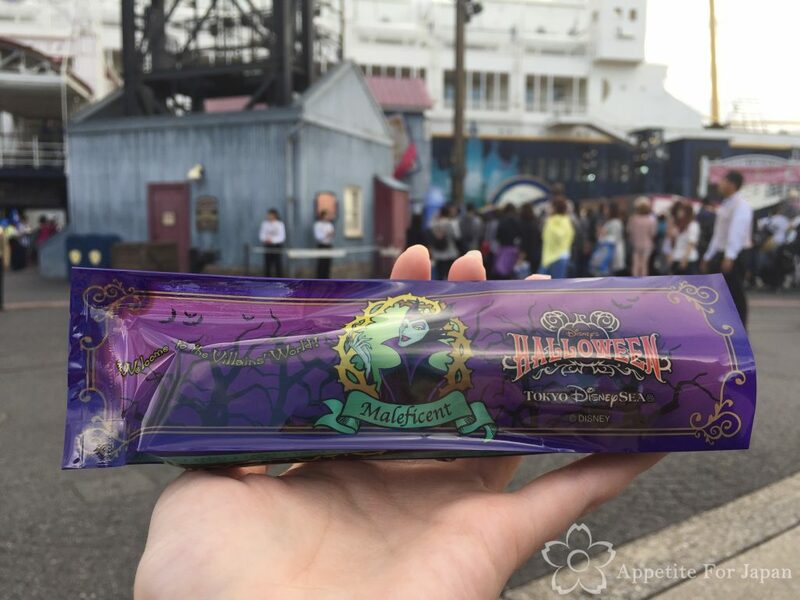 Above: Churros are a staple at Tokyo Disney Resort, and this year’s Halloween flavour was maple-pumpkin. 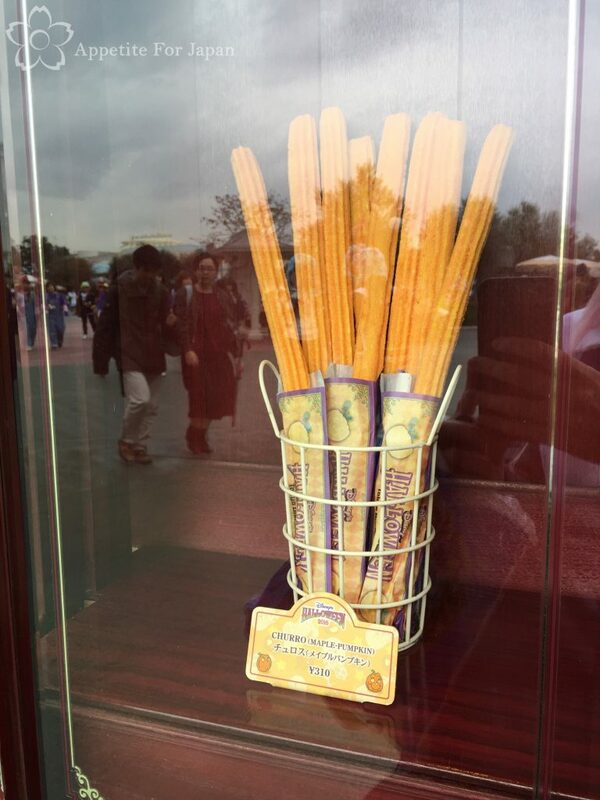 The pumpkin flavour was so subtle that these tasted mostly of maple, and they were really good. Above: For those looking to take a good photo in front of Cinderella’s Castle, you’ll often find a staff member assisting around the back of the castle, and the queues tend to move fairly quickly. 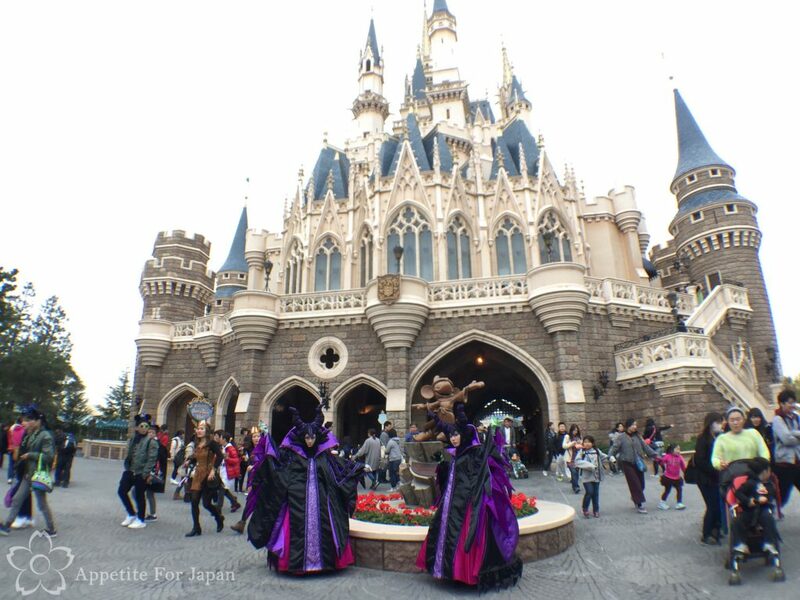 These amazing Maleficent costumes appeared to be worn by a mother and daughter. 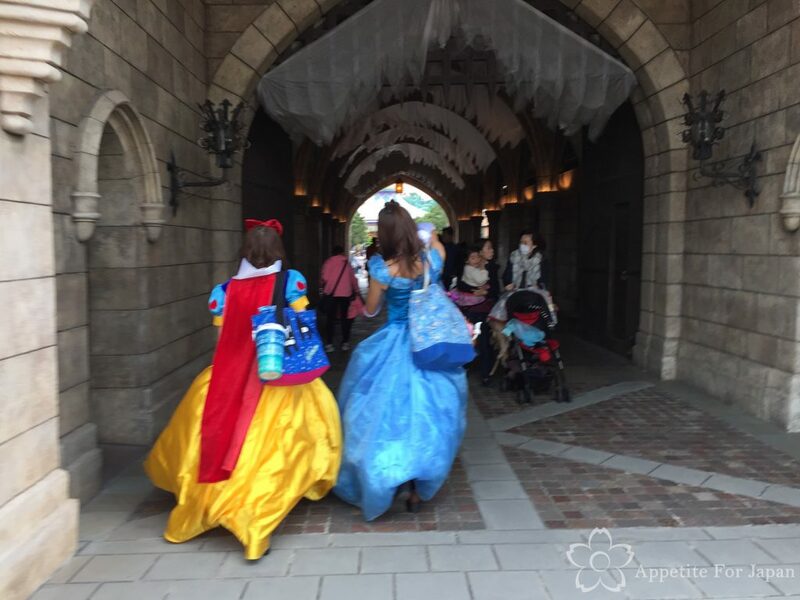 Above: Disney princesses in long ball gowns can often be found near Cinderella’s castle. 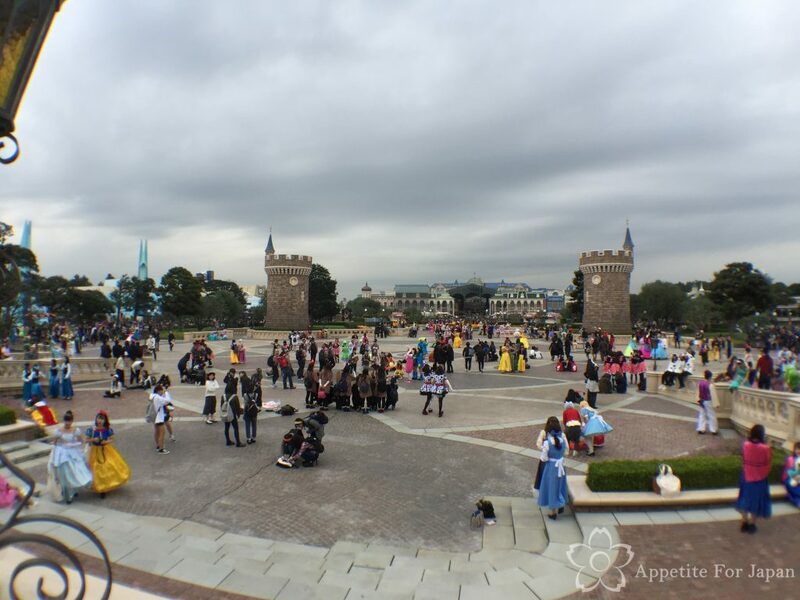 Above: Endless people in costume waiting and posing in front of Cinderella’s castle (I took this photo from right in front of the castle – not long after, it absolutely poured with rain!). 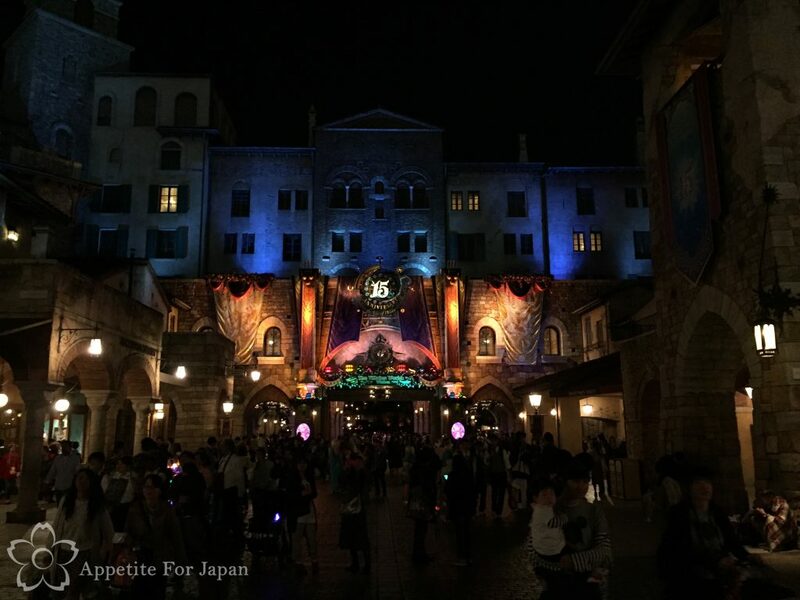 Above: The entrance to Tokyo DisneySea was a combination of subdued Halloween and the 15th Anniversary theme. 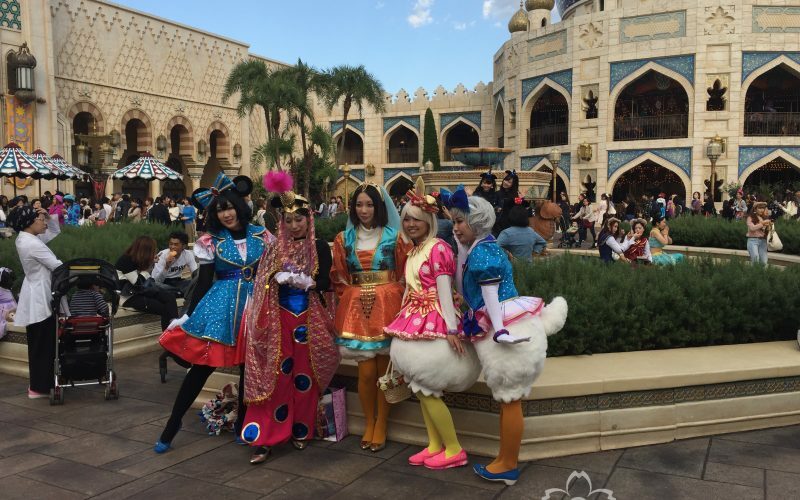 And yes, it was pretty much impossible to get a photo that didn’t have at least a few other people posing for their own photos in their costumes! 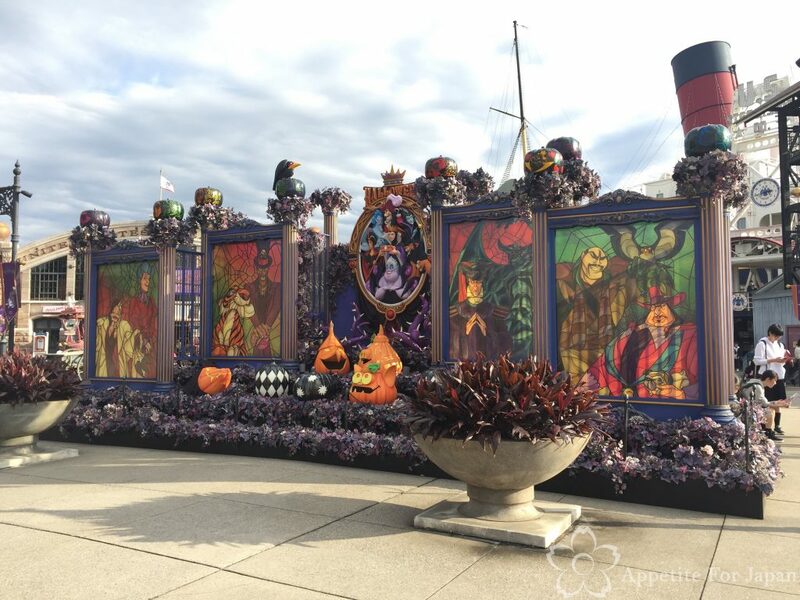 Above: Again, the combination Halloween/15th Anniversary theme. 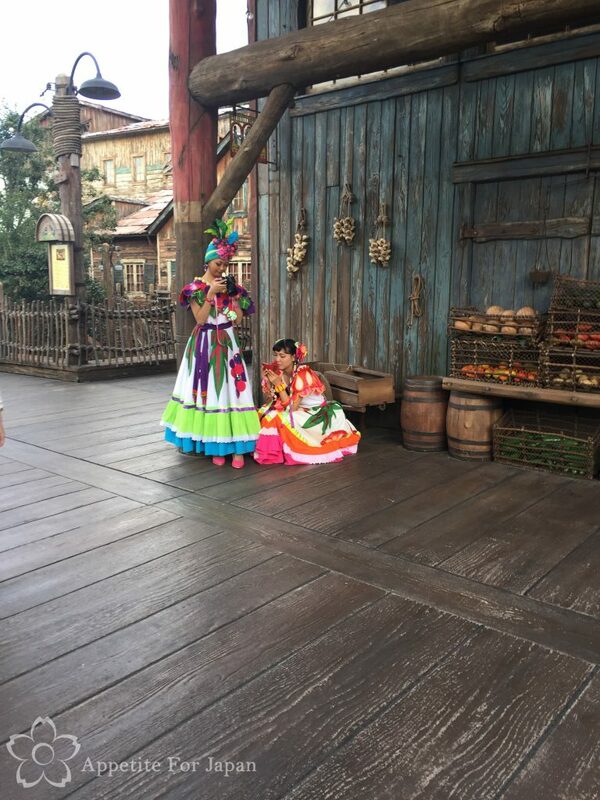 As always, a photo spot is set up in the American Waterfront area where you can line up and have your photo taken. The staff do a great job, and you can either have them take the photo on your own device, or you can have a professional photo taken (at a cost) – or you can opt for both! Most of the eateries had something Halloween themed, and this year we had lunch at the New York Deli, both because we hadn’t eaten there in the past, and because we were keen to try the green apple beer “cocktail”. 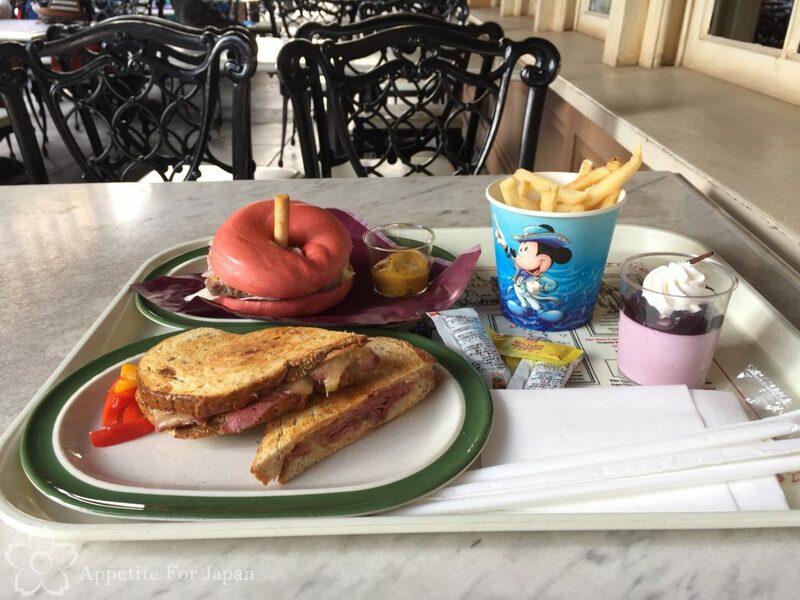 In the above photo, the red bagel (which is meant to look like the poison apple from Snow White – I think) and the dessert is part of the Halloween set which my partner ate. I had the “Reuben” sandwich, which wasn’t so much a Reuben as a regular toasted corn beef and cheese sandwich. 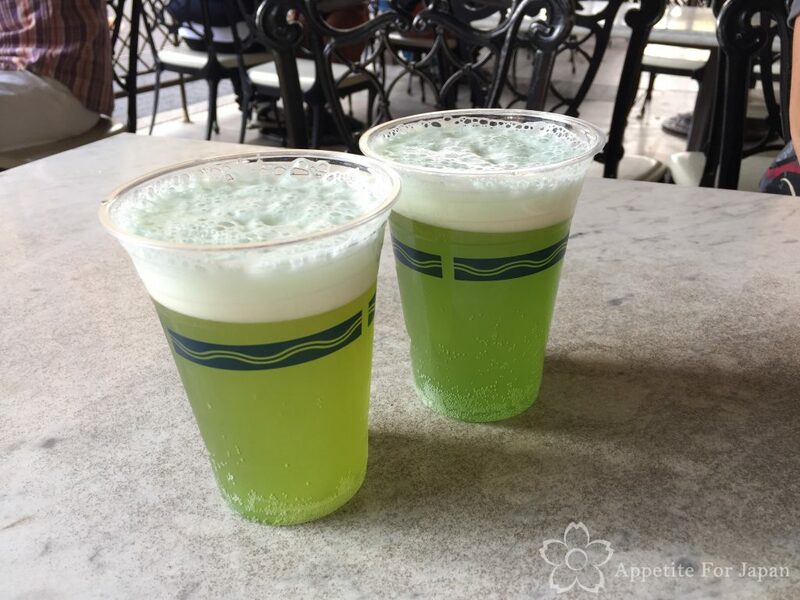 Above: Green apple beer “cocktails” (read: beer with green apple flavour) from the New York Deli. 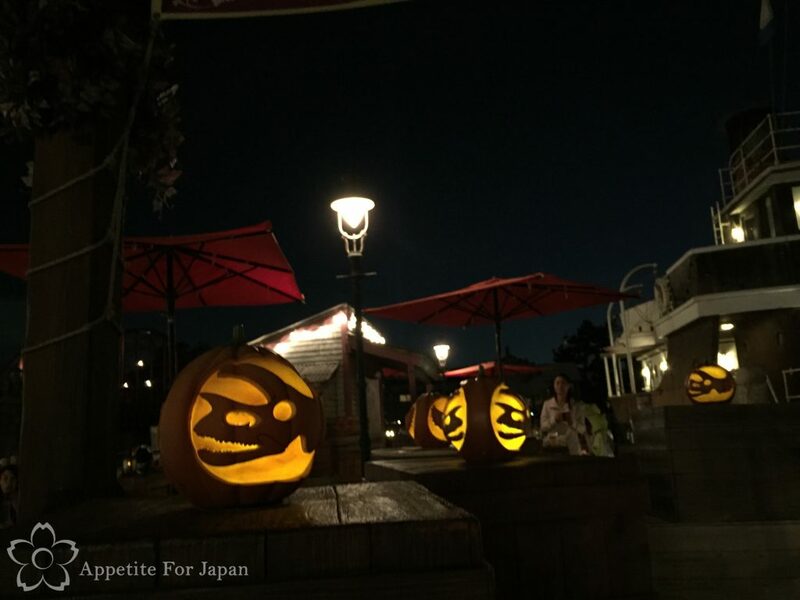 We enjoyed them at first, but we’re just not fans of Kirin beer. Above and below: The Halloween themed cookie with cream was a good little snack. 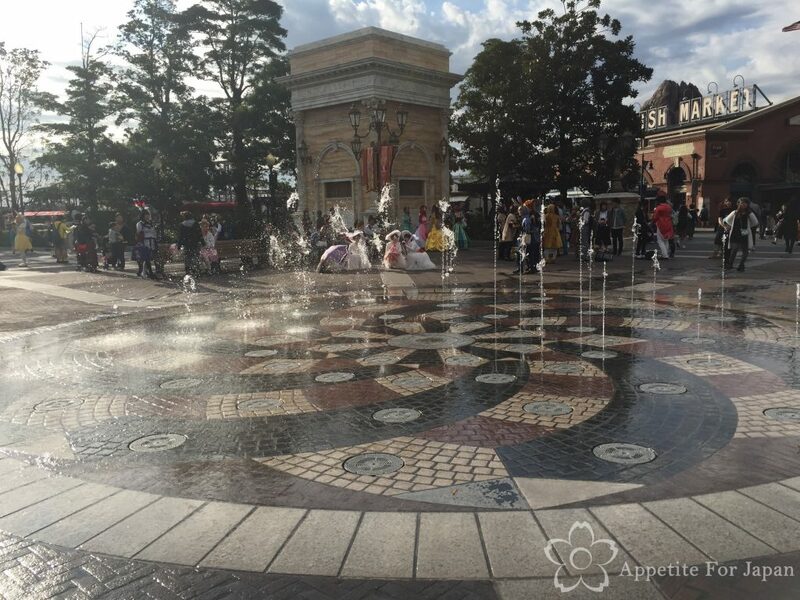 Above: A group of Mary Poppins cosplayers, along with some princesses, near the water feature in the American Waterfront. 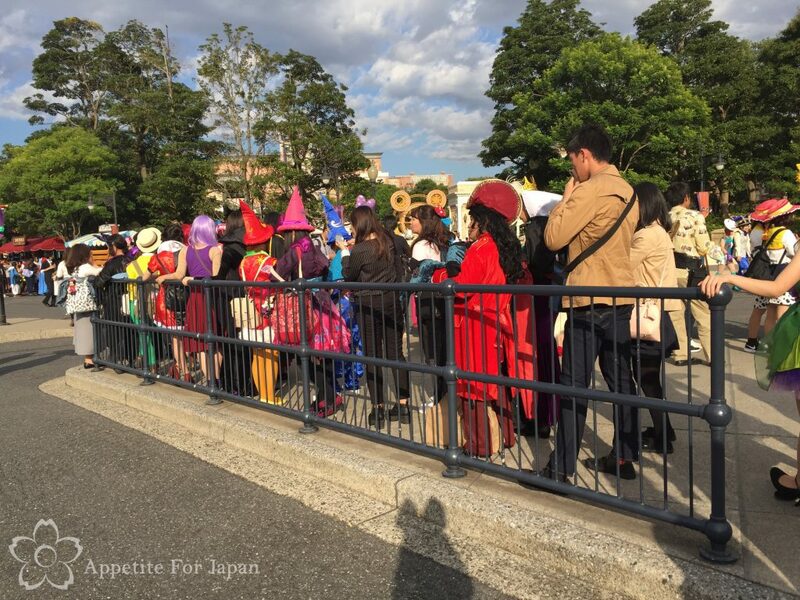 Above: People in costumes line up to have their photos taken in front of the DisneySea Halloween photo spot. 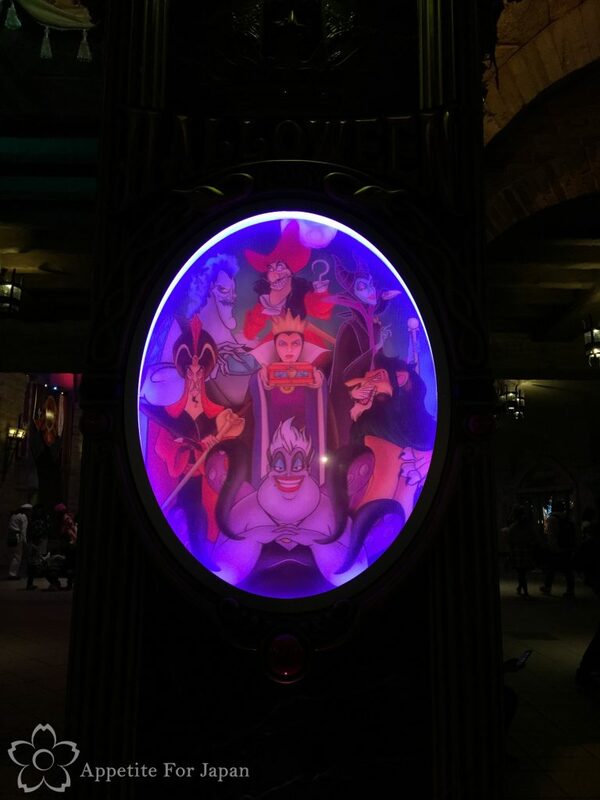 Above: An impressive Ursula costume. 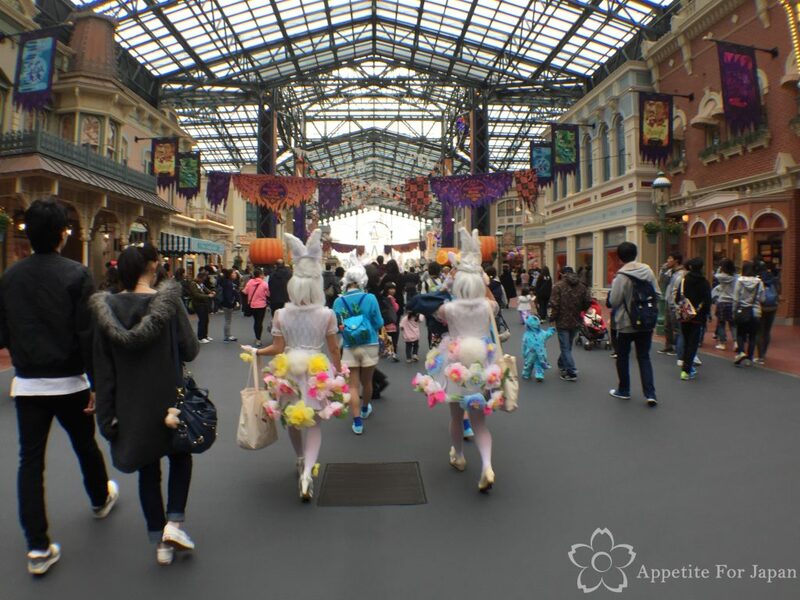 A lot of the people who come to Tokyo Disney Resort to celebrate Halloween are happy to wear impractical outfits as they’re more interested in costumes than going on rides, and some people put a lot of work into their costumes! 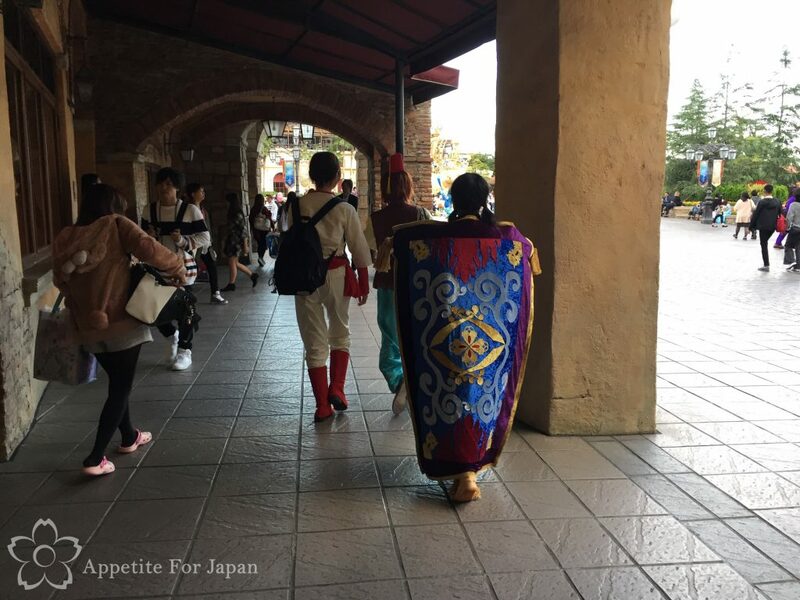 Above: Impractically large hoop skirts on Disney princesses are another staple of any Halloween at Tokyo Disney Resort! 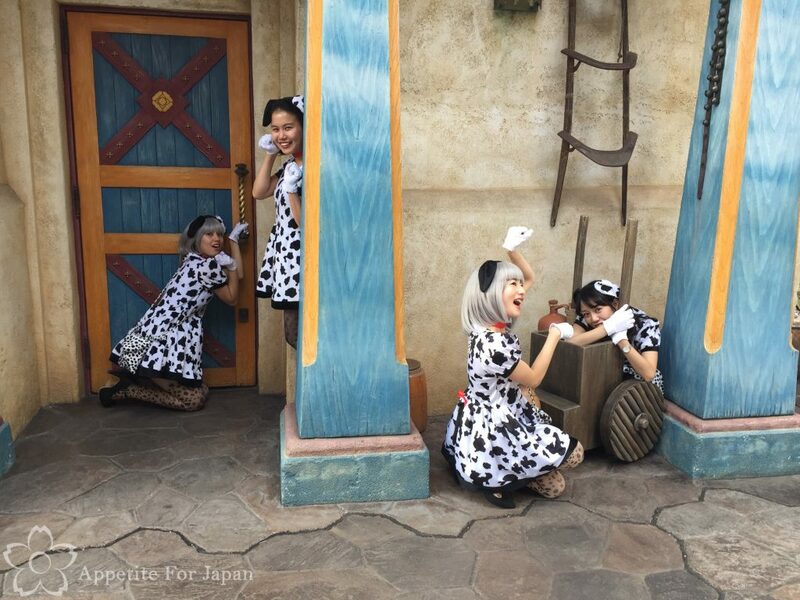 Above: These impressive costumes are based on one of the Mickey and Minnie Halloween outfits from a few years back. 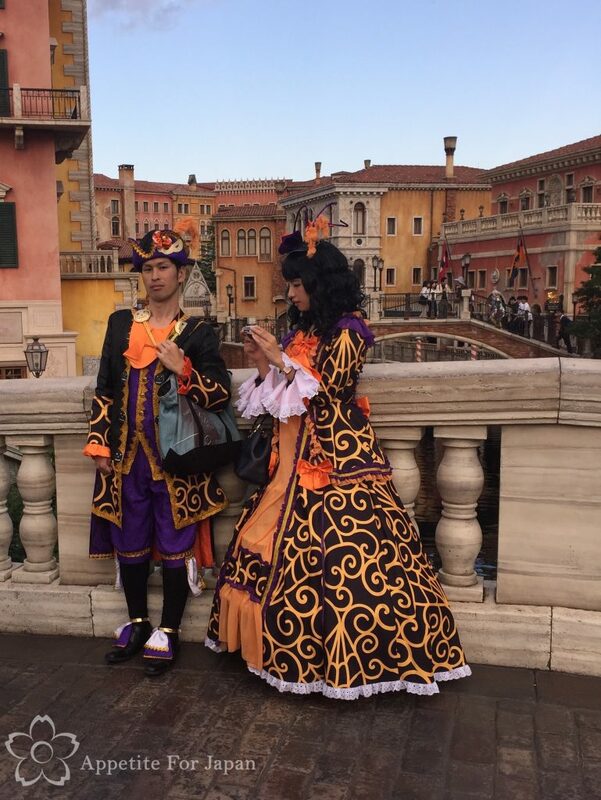 These costumes are less common than, say, Beauty and the Beast, but you can usually expect to see at least one couple in these great outfits each year. Above: Whilst impractical, I have to say that this magic carpet costume was one of my favourites this year. 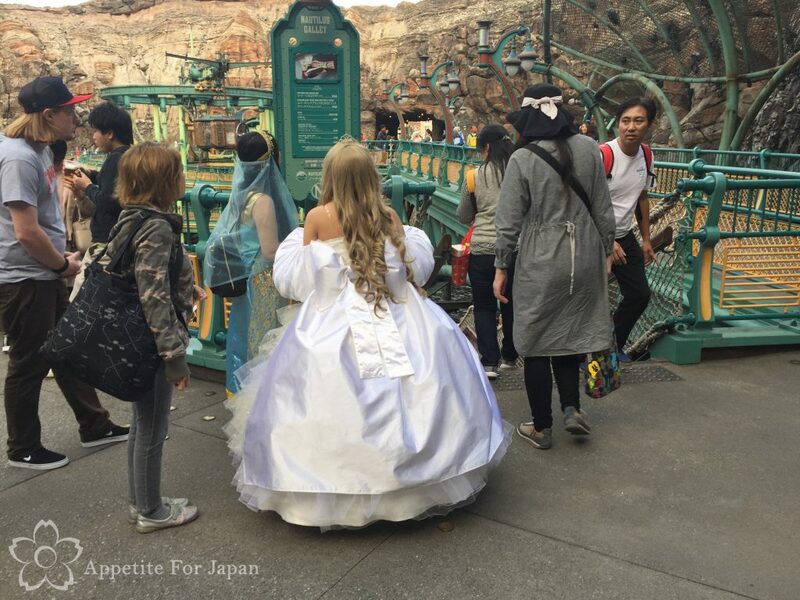 I love it when people go to this kind of effort with something other than the usual Disney princess ball gowns! 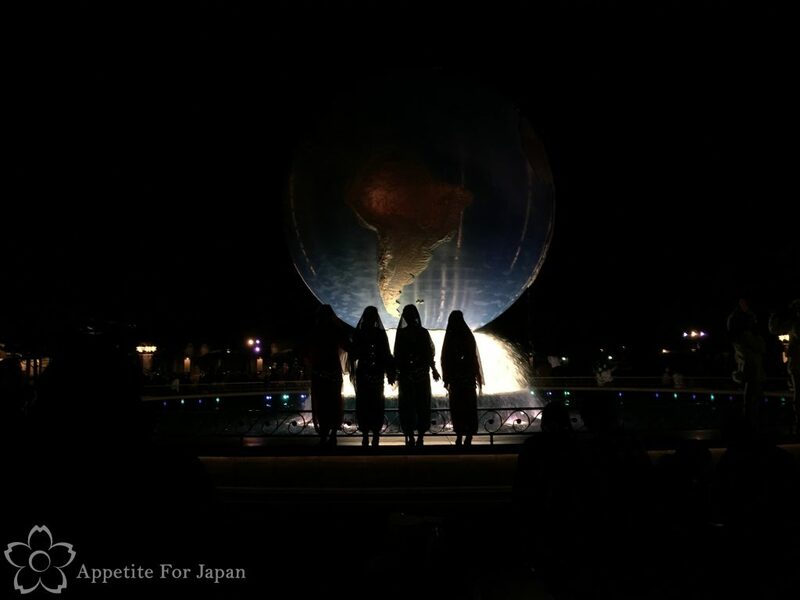 DisneySea looks particularly beautiful by night, so here are some similar scenes, but photographed during the evening. 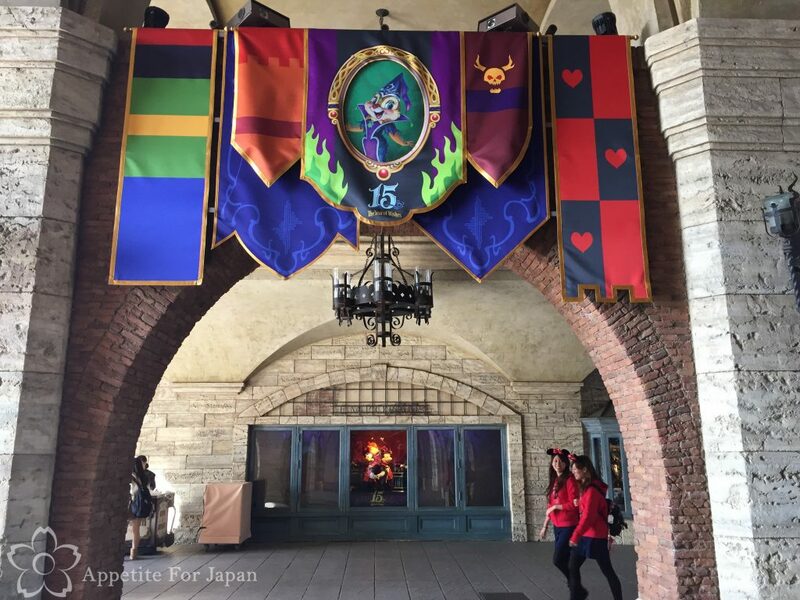 Next up we’ll look at the other big season that is currently happening at Tokyo Disney Resort – Tokyo DisneySea 15th Anniversary: the year of wishes.